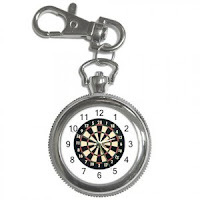 "his old watch, cigarette case, penknife, wedding ring, darts, a tie and a few other trinkets all full of memories". "Do you know what time it is?" when I was a teenager either arriving home at night or getting up late in the morning. Then I noticed the time where the hands of the watch had stopped and have remained ever since. The time on the watch was exactly the time that my son had been born(3.20pm)". "wake up, this is important" alarm clock. Syncs can be multiple messages all wrapped into one, as I commented under his post. I'm sure the initial syncs Mike mentioned were "winks" from his father saying,"I'm still here and I'm proud of all of you all"...but the darts, the watch...even the cigarette case could also be allegories. For instance I had a vivid dream, which I have related on this blog about being pushed up a hill in a blue peddle car. I knew this dream had multiple messages in it for me. It was like a puzzle I had to solve for myself. And I think I have done a pretty good job of it, so far, and it has taken over a year, but what a rich dream it has proven to be up to this point... and I'm sure that there is more, as well, to come from it. 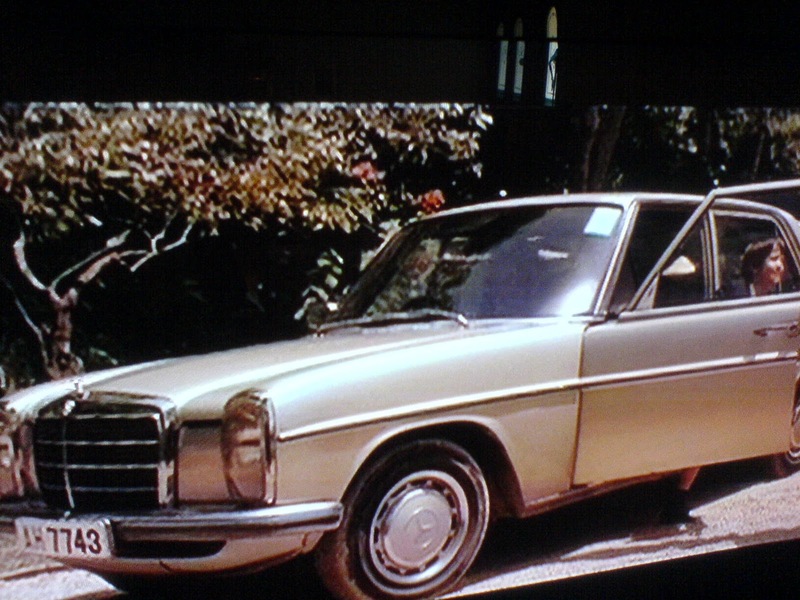 It made me take notice of all pale blue cars that would sync with me in various, quite miraculous ways. 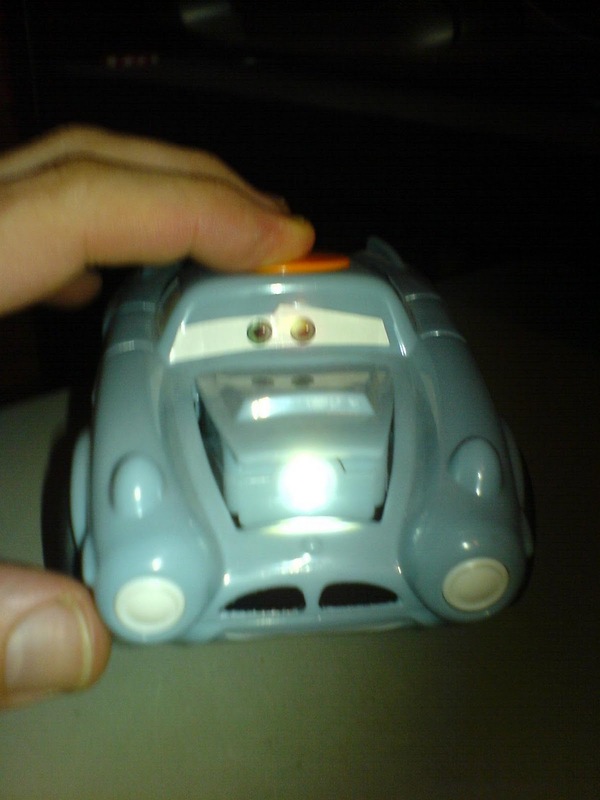 One was the in the photo above, of a car from the movie Cars 2, which produced lots of syncs for me, many I have not yet talked about. This car sits on my CPU unit, it's name is "Finn McMissle" (Infinity?). Finn is voiced by Micheal Caine in the movie and has the numberplate 314 FMCM. 3/14 or 14/3 is Micheal Caine's birth-date - 14th March, as well as Pi (3.14). "Finn McMissle British Intelligence" or "Time is of the essence!". "this is the important one for us mortalsTIME IS OF THE ESSENCE. But what is the essence of mortal time? 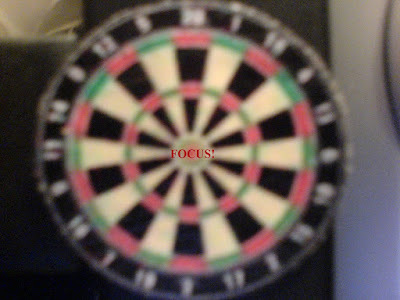 Focus...or focal points...like on a bulls-eye on a dartboard. Without a focal point the game becomes hard to play...oh,and the bulls-eye isn't bad to hit. 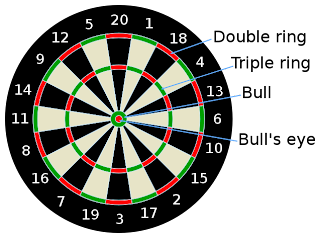 Most players think that's the best place on the dartboard, but there are better targets on the board and the highest target is a score of triple twenty 3x20 (3:20). The players in the know aim for this target, not the bulls-eye. The secret to being a good darts player is to focus/relax (smokes? )/focus /relax...ad finitum." Photo of my miniature dartboard on my desk...but you need to FOCUS. I bought this dartboard above from a shop that sells miniature dolls house furniture. It spoke to me on some subconscious level, so I bought the little dartboard and stuck it on my desk, to use just as a mandala which would remind me to relax into the mandala and just be...and then to focus on the center, like my sights were fixed on the target...and then just relax into the mandala ripples again...and on and on. (wow!! !...I just clicked onto the Veritas magazine link and got hit by a massive sync I was going to post after this post, about Whitley Strieber's Communion book and movie) by Dr Amit Goswami where he was saying that we have to have focus in life, but we also have to take time to relax, meditate, and let go. "DO, BE, DO, BE, DO". I couldn't find Goswami on a video clip actually saying this, but I did find this interesting little song in the clip below. 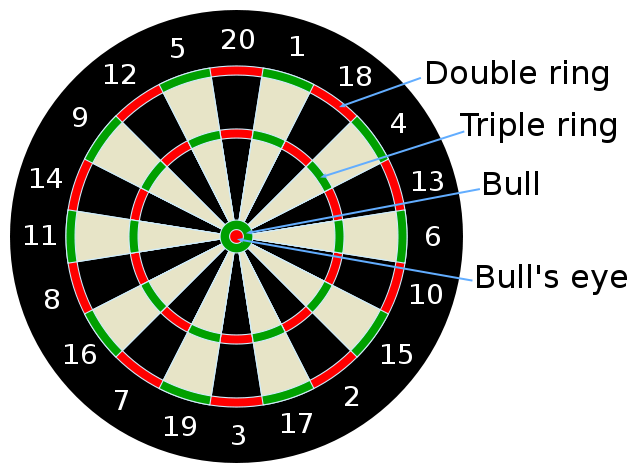 Just look into the center of a dartboard and tell me that's not one of the best hidden mandalas in the Western world. Bruce fending off the demon and keeping it at bay from Brandon. 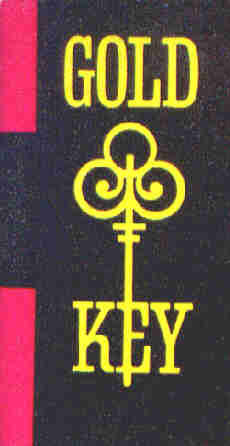 Before I get started on part 4 of this movie post, I just wanted to say "key" symbols have been hitting my consciousness from every direction lately. 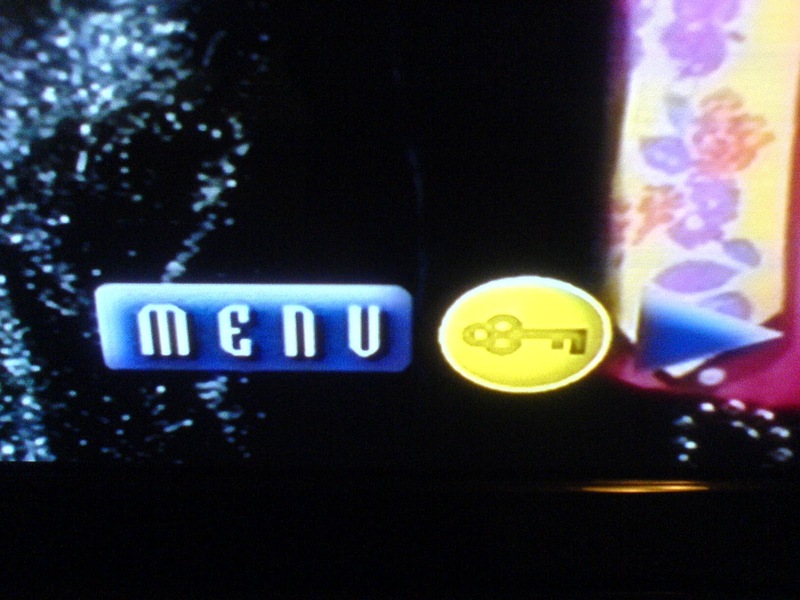 The key symbol on the DVD menu of Dragon. 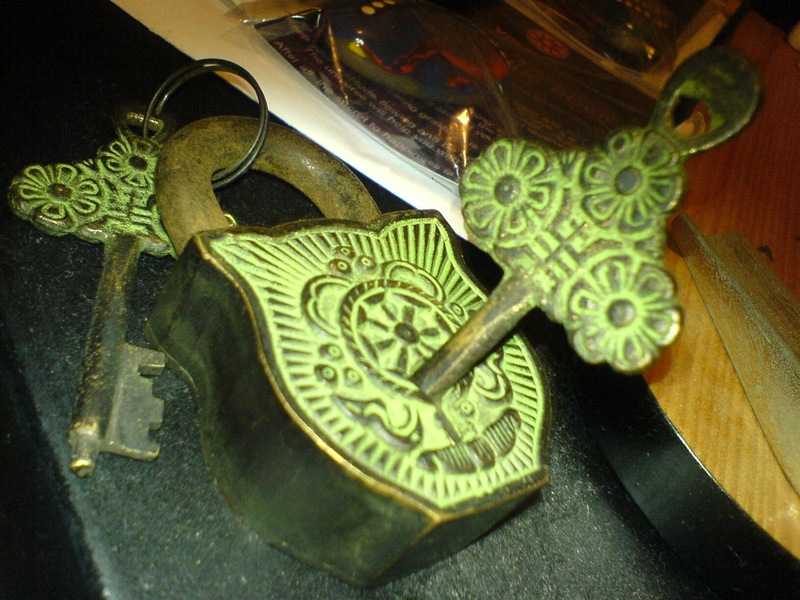 I've just started reading Whitley Strieber's book The Key and while at the Woodford Folkfest I was attracted to buying an antique looking Tibetan lock and key. My Tibetan lock and keys that I purchased from the Woodford Folkfest. 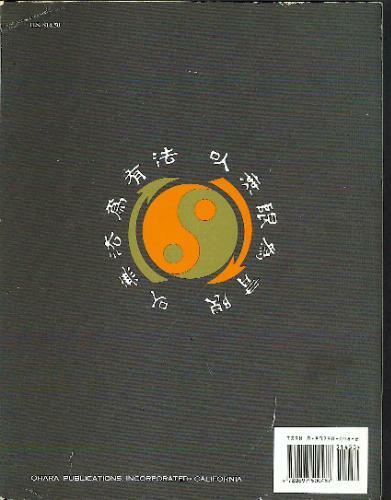 So, the key symbol on the menu of the Dragon DVD I found to be quite intriguing to me personally. Gold Key/Dragons? Interesting cover..don't you think? 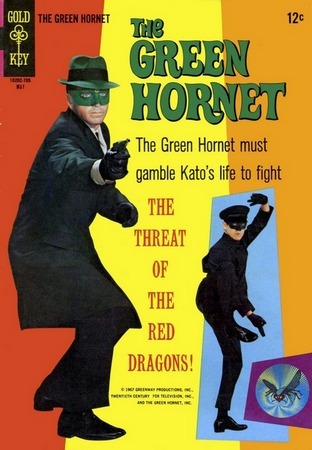 Then researching The Green Hornet TV show I found that Gold Key comics had the rights to publish the TV show into comic book form. So, maybe the key symbol in the DVD menu is a reference to the comic books Bruce appeared in as Kato? 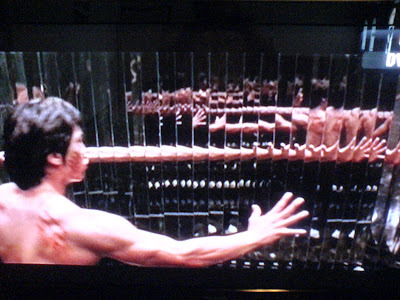 Enter the Dragon scene from Dragon. 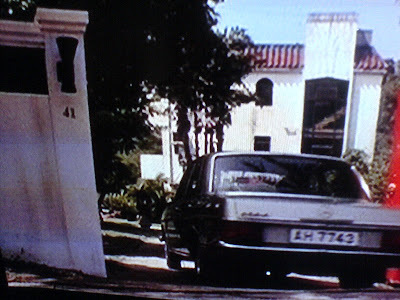 Anyway, back to part 4 of the movie post. 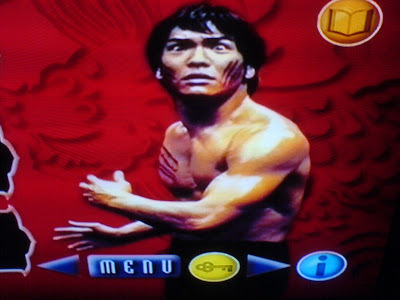 The last full movie Bruce would make was Enter the Dragon for Warner Bros.Pictures. 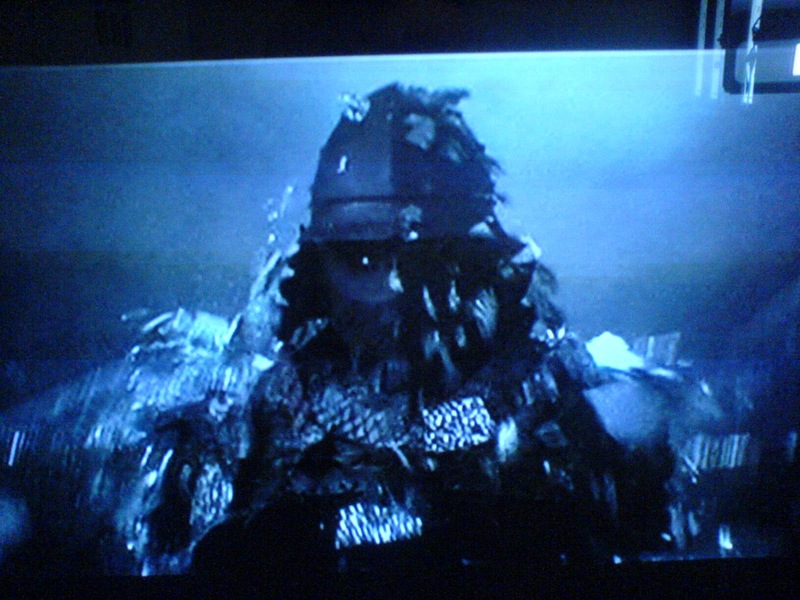 The last part of Dragon focuses on the filming of Enter the Dragon and Bruce's nightmare visions of his battles with the demon. Bruce's real jacket worn by the actor Jason Scott Lee in the movie. 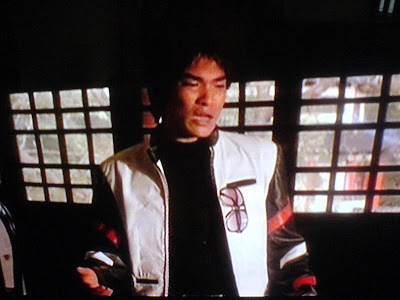 The above photo is the actor Jason Scott Lee wearing Bruce's real leather jacket, which was lent to the makers of Dragon by Bruce's wife Linda. 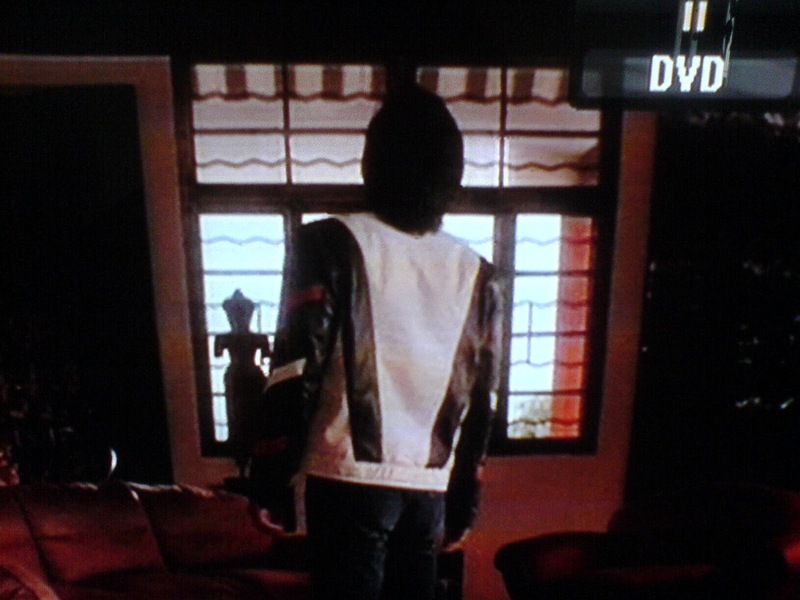 It reminds me of Micheal Jackson's red leather jacket from the Thriller days. 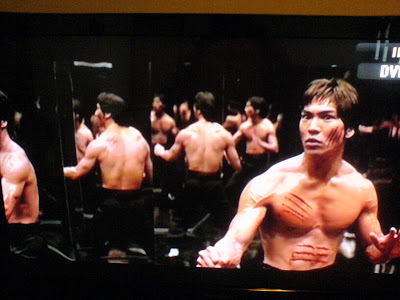 Which reminds me of Micheal's song Man in the Mirror, as well as the Mirror scene in Enter the Dragon, where Bruce is the man in the mirror. Rob Cohen did produce The Wiz, so there is a connection between Jackson, Cohen and the Lee's. According to Rob Cohen, on the 32nd (Bruce died at 32 years of age) day of filming Enter the Dragon, a monsoon hit the set of the film. There are rumours that the winds that day blew away Bruce's protective mirrors letting the demon in to Bruce's world...or so Bruce thought. How true this is I don't know? 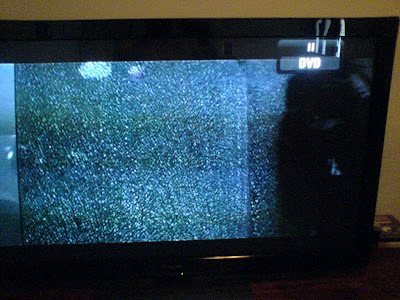 Rob Cohen admits in the commentary on the DVD that Brandon's death soon after this film was completed really spooked him, because he made up the final fight scene between Bruce and the demon with the demon going after Brandon, who can be seen behind Bruce in the cemetery, in the very top photo in this post. 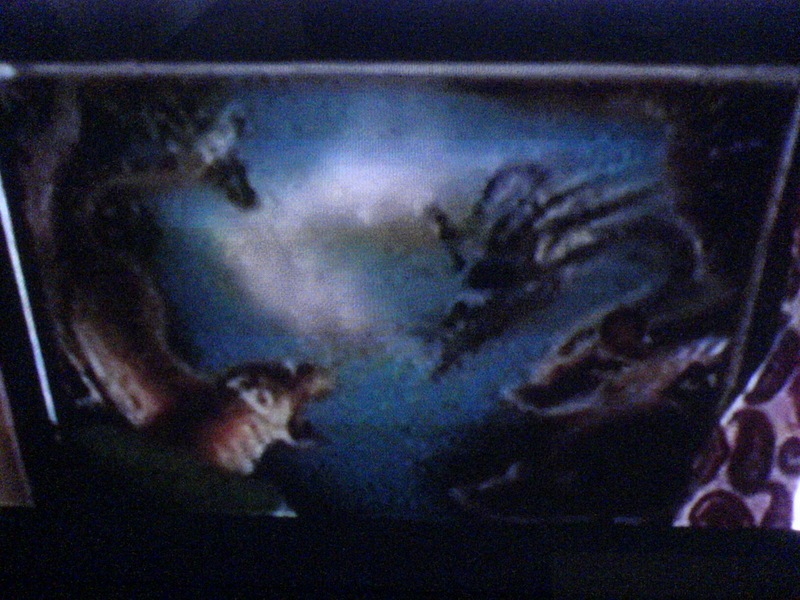 The demon in the movie Dragon wasn't the demon Bruce was seeing in his visions. 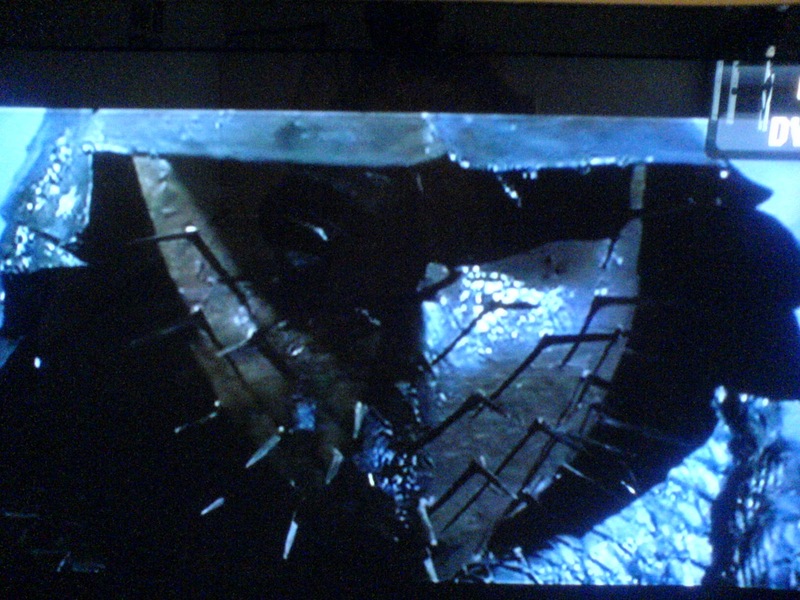 This demon is the invention of Rob's, so he could pit Bruce in battle with this demon on screen. What used to spook me when I first saw this film, was where the demon grabs Bruce and shows him his headstone. Rob says they reproduced Bruce's actual grave for this scene above. 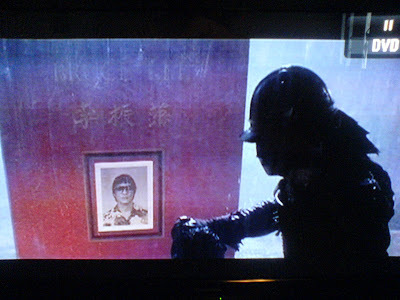 The photo on the grave must have since been changed, because if you Google up an image of Bruce's current headstone, he isn't wearing the sunglasses. In fact, it is a totally different photo altogether. When I saw the shot above I couldn't help but think the demon is showing Bruce not only his grave but the Monolith from 2001. I couldn't help thinking of this same demon showing someone like Douglas Adams (author of The Hitch-Hikers Guide to the Galaxy) his grave, since Adams died tragically young in the year 2001. "In the film 2001: A Space Odyssey, one of the opening scenes show a group of cavemen shrieking and yelling at a black stone monolith that also appears at the end of the film, appearing to a man on his deathbed. 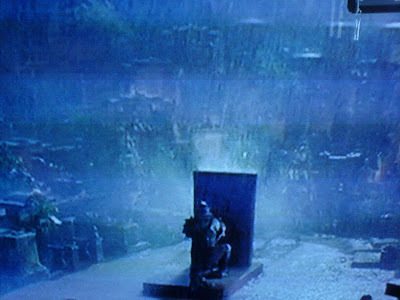 When I first saw this film, at the time I never looked for any deeper meaning behind symbols in popular media, and I found the appearance of the monolith to be strange and out of place. Later I came to understand that the monoliths appear just before a great revelation to or jump in the evolution of mankind. 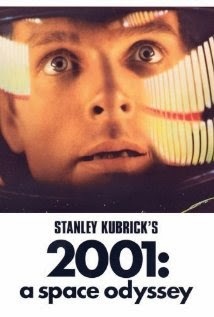 The movie was made in 1968. 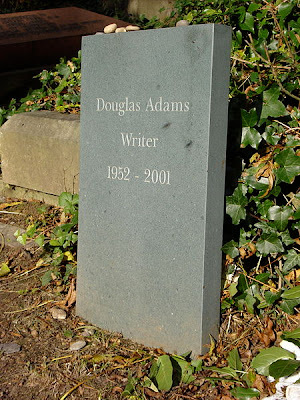 On a quick side note, a monolith showed up in a park in Seattle on New Year’s Day 2001, only to mysteriously disappear three days later. Years before this mysterious event (1992), the Millennium Hilton Hotel was opened. 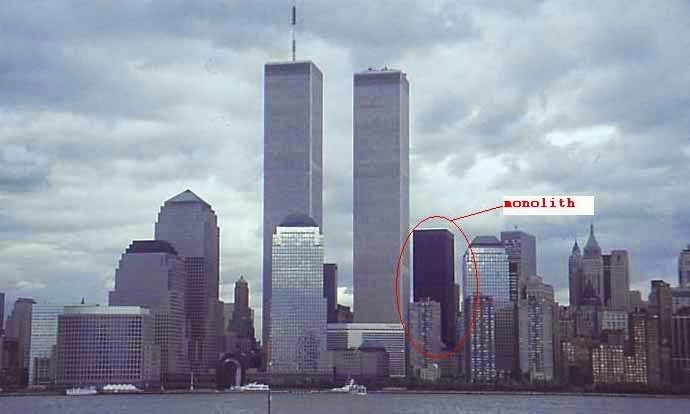 It faced adjacent to the WTC, and anyone who followed synchromysticism at the time would be inclined to think it would bear witness to a revelation in the year 2001. 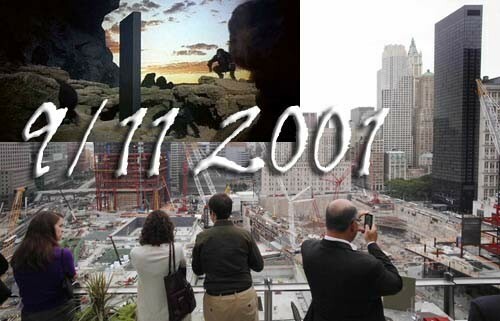 The year 2001 will forever be remembered for the attacks of 911. The television brought us horrible images of falling towers and people running from debris." 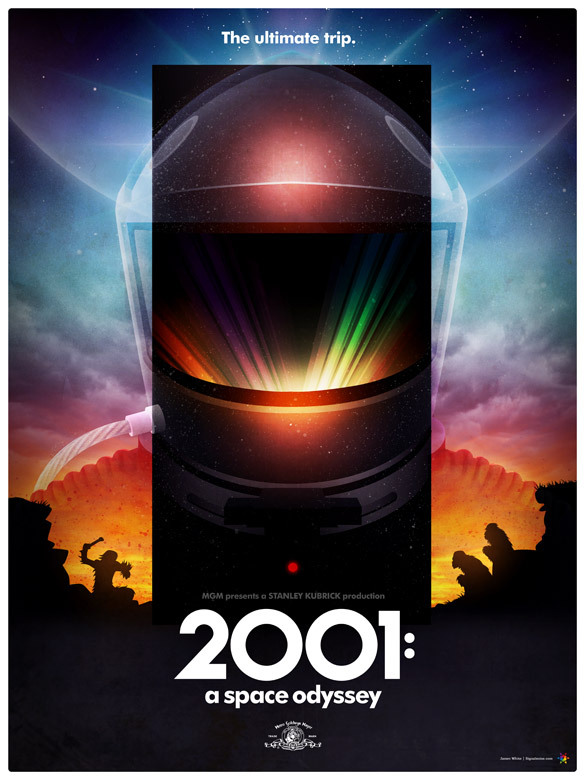 It's pretty well agreed upon that Kubrick made the Monolith the dimensions of the cinema screens of 1968 that the film would be shown on. That's why the film starts with the music playing for ages, while the audience stare at a black screen...or Monolith? Little explosive squibs make the glass look like it's the impact that fells it. Here's one for the conspiracy theorists out there. In the above scene Rob explains that they had to use tempered glass, and as the stunt man is about to hit the glass they had to blow it with little explosive squibs to make it look like the stunt-man's impact breaks the glass. Hmm...where have I heard something like that before? Rob also says they had to hide the camera in a mirrored box, so it wouldn't be picked up in the other mirrors as they were filming. On the DVD scene selection chapter 32 is titled "Game of Death" this is the final battle between Bruce and the demon. 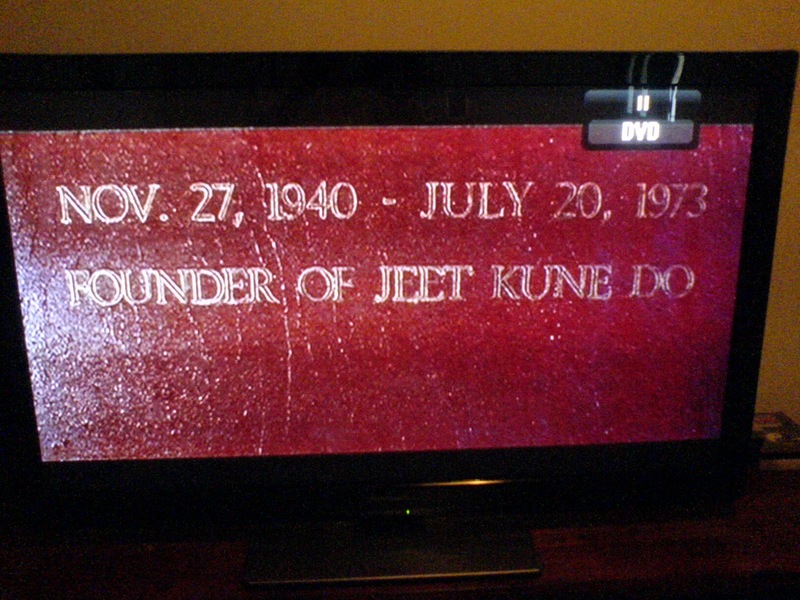 Bruce would die at 32 and in this chapter he is shown the date of his death. He ends up defeating the demon with his favorite weapon "nunchucks". We are told that,"nunchaku were originally a short Southeast Asian flail used to thresh rice or soybeans (that is, separate the grain from the husk). It is possible that it was developed in response to the moratorium on edged weaponry under the Satsuma daimyo after invading Okinawa in the 17th century, and that the weapon was most likely conceived and used exclusively for that end, as the configuration of actual flails and bits are unwieldy for use as a weapon. Also, peasant farmers were forbidden conventional weaponry such as arrows or blades so they improvised using only what they had available say, farm tools such as the sickle." So, the grim reaper is seemingly defeated by his own weapon in a roundabout way. Do I see a triad in the background? 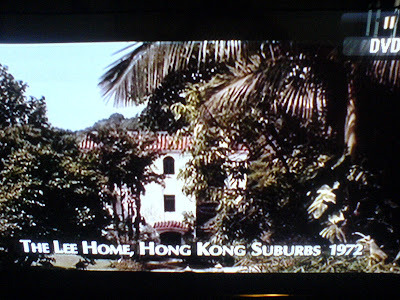 In this scene Rob says they had two days to shoot in this part of Hong Kong, but their lives were threatened by the Triads, so they had to shot around the clock and then leave as fast as they could. The film finishes with Bruce climbing the "Stairway to Heaven"
on the set of "Enter the Dragon" and then shadow boxing with in the sun. 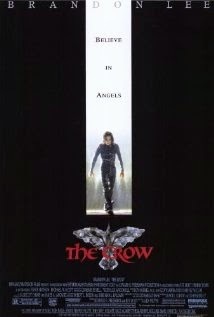 who would die on the set of The Crow in a freak accident, after this film was all put together and ready for cinema release. 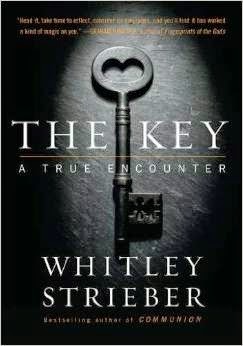 And since I mentioned the key symbol at the top of this post, along with mention of Whitley Strieber's book The Key. 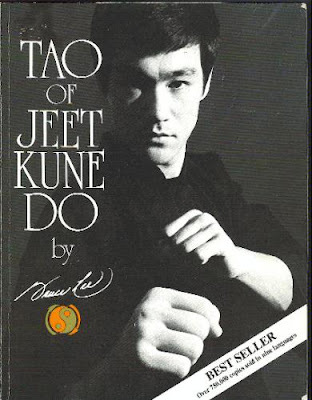 Where Whitley talks about Bruce Lee's encounter an nonhuman presence in a bookshop on page 2 of the above document. 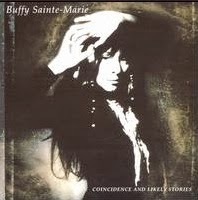 I forgot to mention in the post below that Buffy Sainte-Marie also had a hand in writing Up Where We Belong. 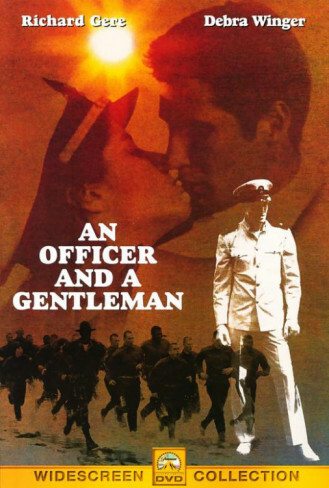 The Song made famous by Joe Cocker and Jennifer Warnes from the movie An Officer and a Gentleman. Up Where We Belong be cut from An Officer and a Gentleman, saying, "The song is no good. 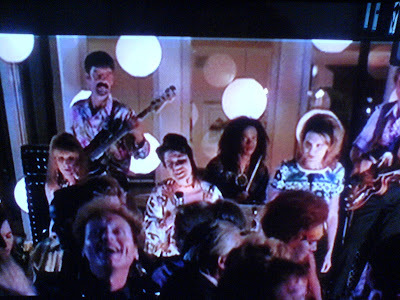 Academy Award for Best Original Song in 1983. It also won the BAFTA Film Awards for Best Original Song in 1984. Cocker and Warnes also won the Grammy Award for Best Pop Performance by a Duo or Group with Vocal in 1983 for their rendition of this song. Buffy recorded an album called Coincidence and Likely Stories with the opening track called The Big Ones Get Away. Well, at least Up Where We Belong didn't. Running for the Drum, I think you'll want that one in your CD collection...it's now in mine. I saw Buffy play,for the first time at the Byron Bay Bluesfest last year on the Easter weekend, but I was eating in the food village and only managed to catch a few bits and pieces of the end of her show on the big screens, on the outside of the tent she was singing in. She was the main reason for me attending the Woodford Folkfest. I knew she was playing there and I wanted to see her whole show from go to woe. But it was more like go to WOW! If you ever get the chance to see Buffy live, do yourself a favour and go. Buffy and her band got a standing ovation...and they deserved every clap. 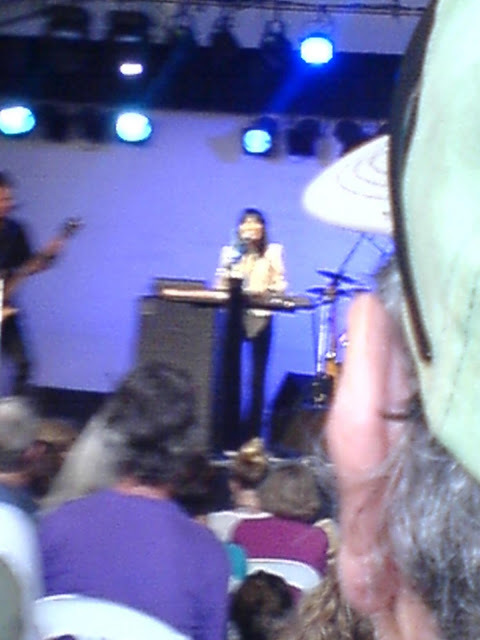 Buffy Sainte Marie performing at the Woddford Folkfest 2011. Bruce played Kato in The Green Hornet TV show in the 60's. Bruce Lee's big break in the acting arena came from a talk he gave at Ed Parker's fighting tournament in California. 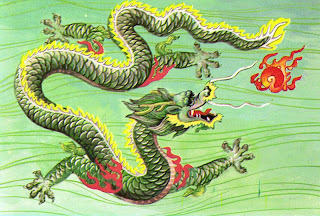 In the movie Dragon he has to prove his theory by taking on and defeating any opponent within 60 seconds. The challenger who steps into the ring is the opponent he took on in the Star chamber type fight where he was supposed to have received his back injury, which in real life he got from lifting weights and crushing a disc in his spine. This fight never took place in real life, only in the movie. This fight above never took place in real life, but he did present his views to the fighters that were present at Ed Parker's tournament, which he had published in his book. One of the guys involved in The Green Hornet TV show was in attendance at Ed Parker's and asked Bruce about playing a role in the show. That's how he got to play Kato. 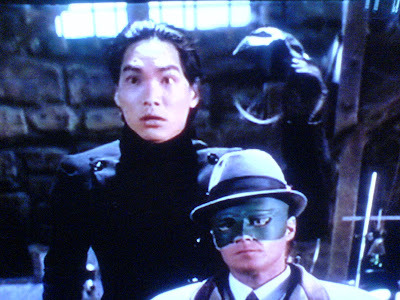 In the You Tube clip below is the Green Hornet and Kato's guest appearance on the Batman TV show, where they fight Batman and Robin and the fight ends up a draw. Listen at the end when the credits are rolling and the announcer introduces the next show and mentions "the fish out of water story". I also noticed Batman is a "Greenway Production", with a green beam leading to the bat-signal in the sky. 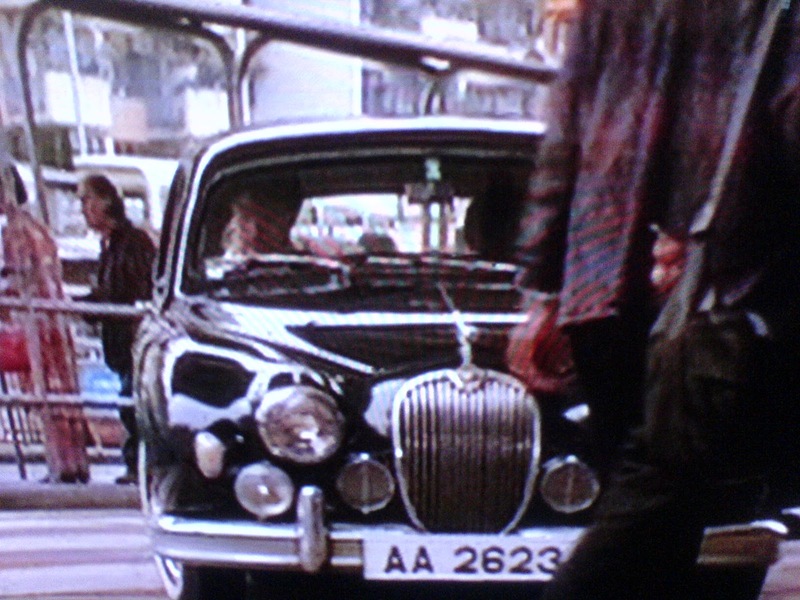 Here's one for Christopher/Mercury's Messenger...who is the guy that plays Commissioner Gordon? You probably know anyway, but I thought I would ask...Neil Hamilton. And right at the very last it says William Self (Will Self? )(Will I am?) in charge of production. The Green Hornet ran for 26 episodes, then was cancelled. The shot below is a scene in the movie Dragon where the announcement is made to the cast and crew of the show by the guy that gave Bruce the role as Kato. 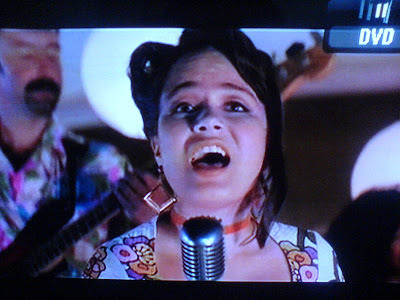 The real Shannon Lee singing California Dreaming. The Green Hornet TV show. Also in this scene the actress playing Linda Lee tells Bruce she is pregnant with their second child, which will be Shannon, who is singing California Dreaming in the background behind the two actors playing her parents. Bruce isn't too worried about the show being cancelled because he thinks a new TV show starring him as the main character "Kane" will propel him to stardom. And it will be a success, but not for Bruce. It will rocket David Carradine to stardom instead. 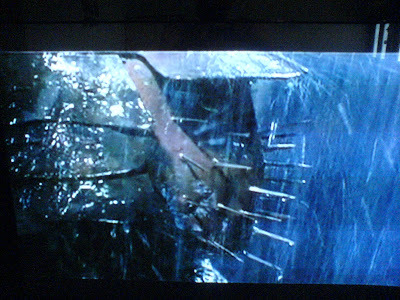 Bruce will have to cross the abyss once more for his star vehicle to arrive out of the chaos and bring some order to his career, while attending his father's funeral in Hong Kong. We see him looking intensely at the painting of the tiger fighting the dragon, which we saw earlier on in the movie near the door to his gym. He has to return to Hong Kong to attend his father's funeral. 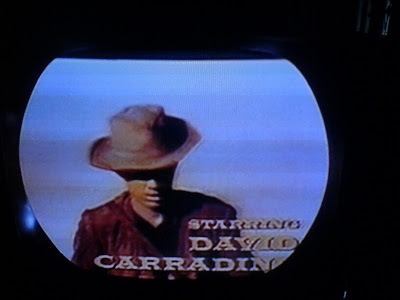 We see him answering the phone just after he and Linda had sat down to see David Carradine walk on their TV screen, playing what Bruce thought would surely be his part in the show Kung-Fu. 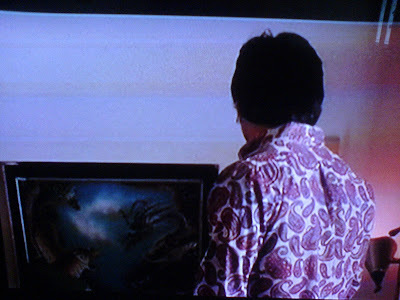 Bruce's father was a Chinese opera star, but he was also an opium smoker (which is not mentioned in the movie...except by Rob Cohen in the audio commentary on the DVD) and was addicted to it. 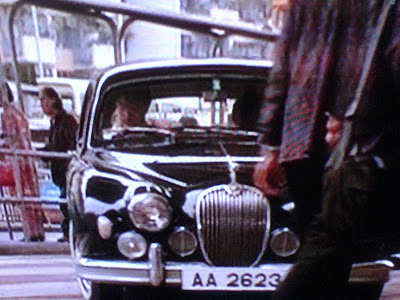 When Bruce is leaving Hong Kong to go back to The States, the black car with the AA2623 number-plate pulls up at the ferry terminal as the boat is pulling away from the dock and these Chinese movie producers jump aboard (without paying the ferryman;- ) and offer Bruce a chance to become a star. In the audio commentary Rob Cohen says it was the North Star ferry, but it says Man Shing, which might mean the same thing...I don't know. Oldest teak junk in Hong Kong, used in Dragon. 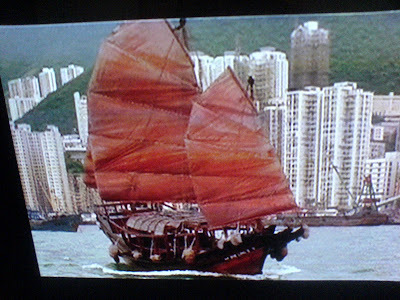 According to the DVD commentary this red sailed junk is the oldest junk sailing in Hong Kong Harbour. A party was thrown on it first day of filming in Hong Kong and just about everyone got seasick according to Rob. 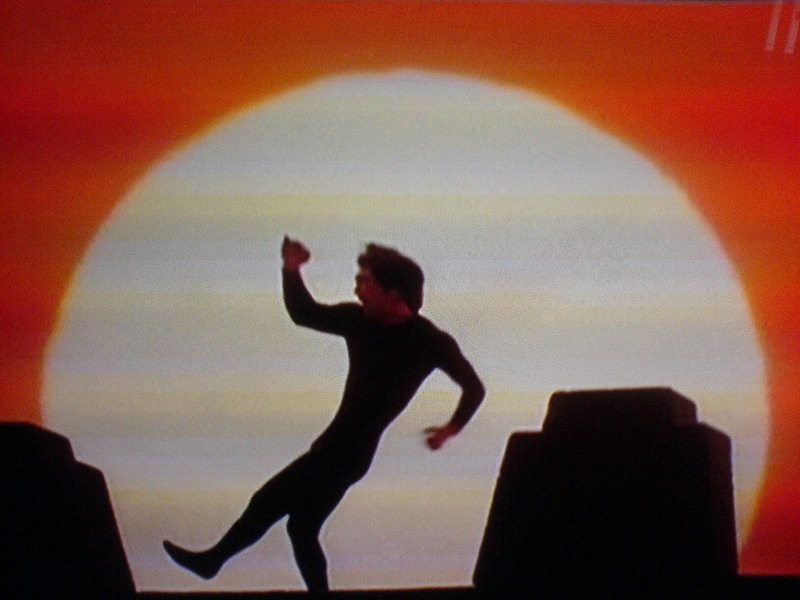 The first film Bruce made was called The Big Boss in the States, but Fists of Fury in Asia. 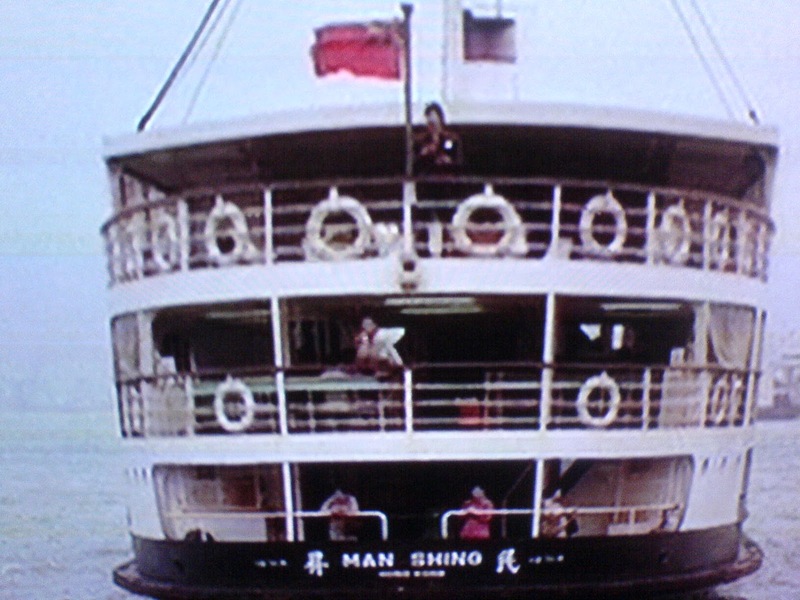 It was filmed in Thailand. 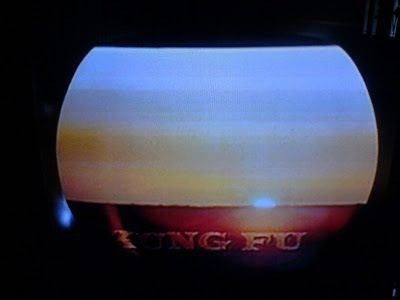 Then he made The Chinese Connection AKA Fist of Fury. Bruce getting literally carried away with his first major success. In the movie Bruce is shown being carried on the shoulders of the grateful Hong Kong movie going public, who finally have a real star they can look up to. This is just more Hollywood myth making. 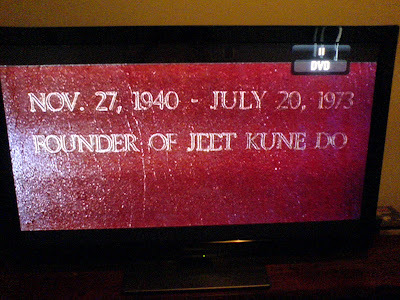 While the movie was received well and made a star of Lee, this didn't happen. 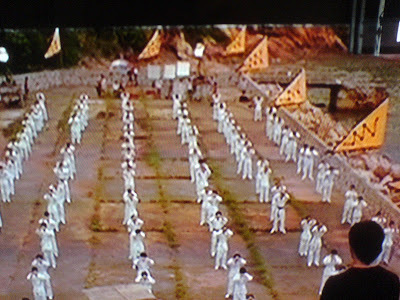 That temple above and the crowd scenes were filmed in Macao, because according to Rob the Hong Kong authorities won't let you stop traffic to film movie scenes. Macao was a Portuguese province and Hong Kong was a British colony. Maybe there is something to look into there...I don't know? But this scene looks like the Chinese version of Mecca to me. Rob says that he changed Raymond Chow's name in the film to Phillip Tan in honour of the Asian American author Amy Tan, who wrote the novels The Joy Luck Club and The Kitchen God's Wife. 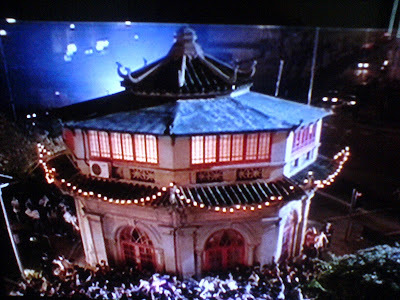 The movie version of The Joy Luck Club would come out on Mother's Day 1993, the same year as Dragon and the same year Brandon would die filming The Crow. He was now a big star in Asia. But Hollywood would try to make him into a bigger star of the silver screen. In the States the movie length was 88 minutes. 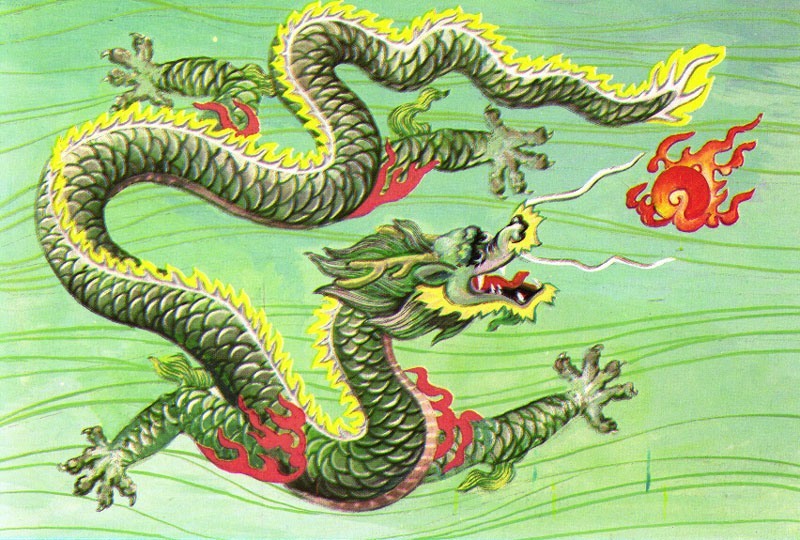 But in China it was called The Way of the Dragon and ran for 99 minutes. The SYNC Book, 26/23 and Dragon?